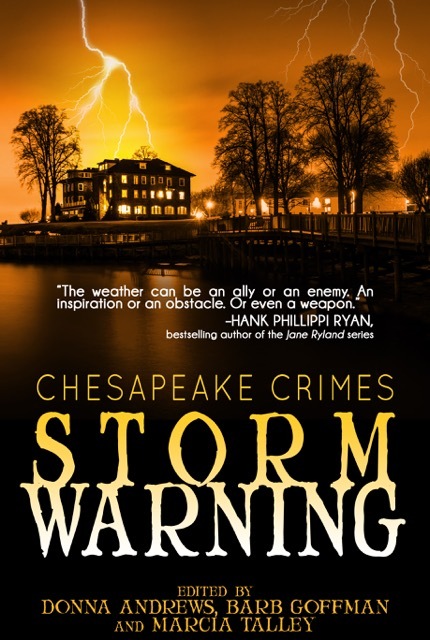 On Saturday, December 3, the Chesapeake Chapter of Sisters in Crime hosts the second of its seasonal author extravaganzas—great opportunities for our members to share news about their latest releases and for readers to check off some holiday shopping, since signed books always make the best gifts! The December 3 event takes place at the Reston Regional Library, 11925 Bowman Towne Drive, Reston, VA, with the official program beginning at 1 p.m. (come as early as 12:30 for snacks and mingling). Sixteen authors will be participating, including Britt Alan, Donna Andrews, E.A. Aymar, Maya Corrigan, Ellen Crosby, Barb Goffman, Sherry Harris, Eleanor Cawood Jones, Kim Kash, Eileen McIntire, Susan O’Brien, Alan Orloff, KM Rockwood, Laura Ellen Scott, Colleen Shogan, Shawn Reilly Simmons, and Robin Templeton, and I’m thrilled to be joining them. Book sales are provided by Mystery Loves Company. For my own news: I’m pleased to have a few recent publications to share, including my story “Parallel Play” in Chesapeake Crimes: Storm Warning, my story “The Great Detective Reflects” in Ellery Queen’s Mystery Magazine, and then the inclusion of my story “Rearview Mirror” in this year’s Best American Mystery Stories. And it’s been a great year generally, with an Agatha Award for Best First Novel and other award recognition for On the Road with Del & Louise and an Anthony Award for Best Anthology for a collection I edited, Murder Under the Oaks. Hope to see folks in Reston this Saturday!